The Behring Technical Duke features a full, comfortable grip that allows precise control over its modest sized S7 tool steel blade. 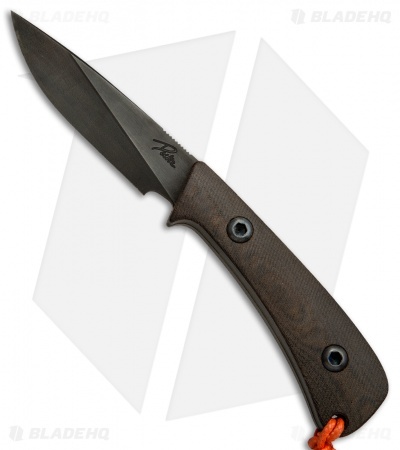 This knife has a forced patina with an acid etch and blued finish on the blade. 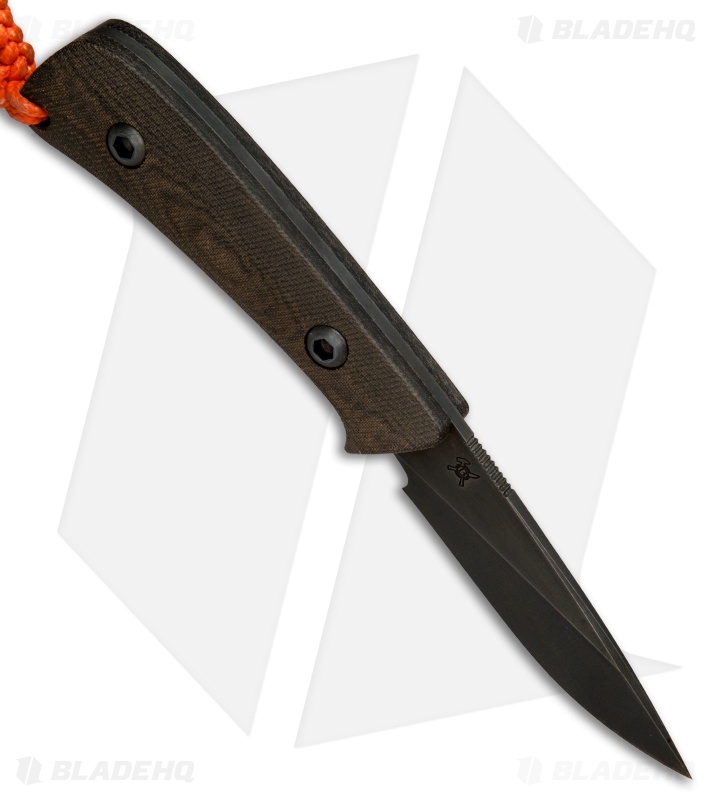 It has a brown Micarta handle secured with custom black oxide coated screws and a braided orange lanyard. 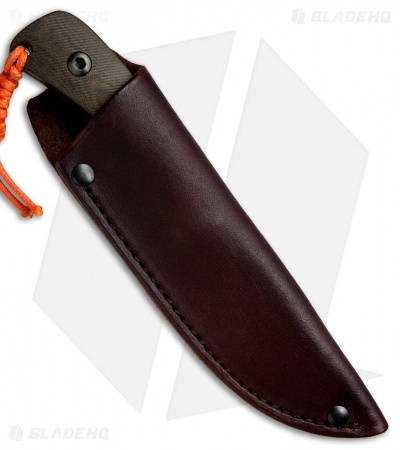 Includes a Behring Made genuine leather sheath.